Mature Height 50 - 80 ft. Mature Width 35 - 70 ft. 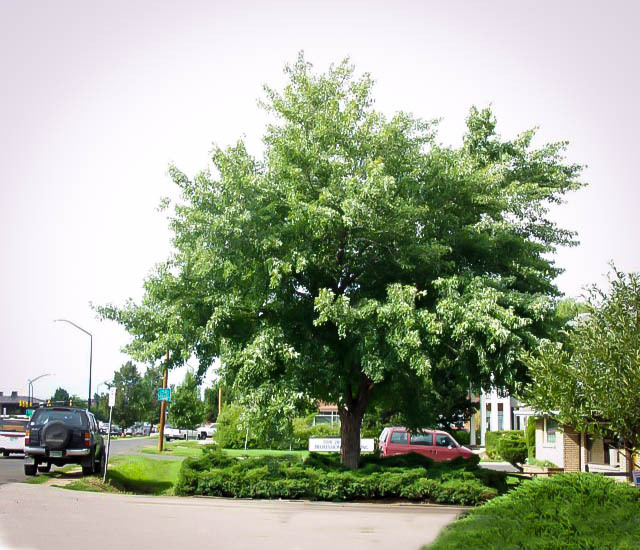 The Silver Maple is a tough but attractive tree that is a great choice for wet and poorly-drained locations, as well as for dry, urban areas. This is a maple that is very resistant to harsh urban conditions, and it will bring attractive greening to the most difficult locations. It makes a great shade or privacy tree, and it is fast-growing too, adding 3 feet a year to its height and soon filling in to make a substantial specimen or screen. It is a native tree, so it is ideal for re-planting in natural areas, and it will thrive in all the climatic zones of the continental USA. The Silver Maple is a large tree that will soon be over 50 feet tall, providing shade and privacy for your garden. 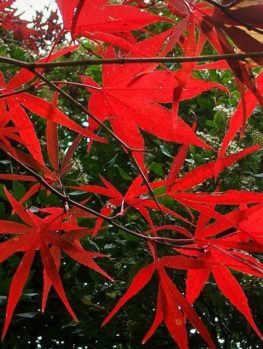 It has leaves that are similar to some other maples, with five lobes, but the underside is silvery, so it is easily recognized. The leaves turn yellow, orange and red in fall, making an attractive picture and the tree is a refuge for all kinds of wildlife. It needs no special care; it is free of major pests and diseases and this is one of the top low-maintenance trees for difficult locations. 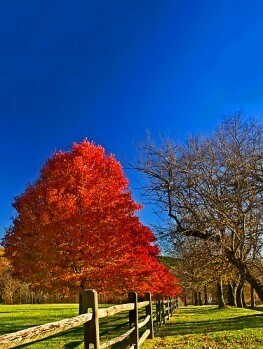 You can plant the Silver Maple in sun or partial shade, in any kind of soil, from clay to sand and from wet to dry. Because it grows will in damp, seasonally flooded areas too, as well as along streams and rivers, it is ideal for those often difficult locations. Amazingly, this is such a tough tree it will also grow in hot, dry areas and it very drought-resistant once established. 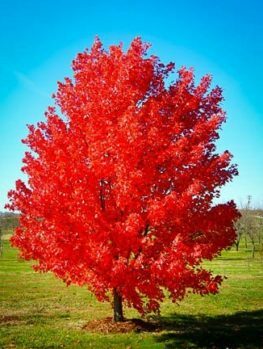 When you need a no-nonsense, low-maintenance tree for a difficult spot, you should not go past the Silver Maple – the ideal tree you have been looking for. There are times when hardiness and resistance to harsh urban conditions are priorities for our gardening, and it is under those conditions that the Silver Maple really comes into its own. 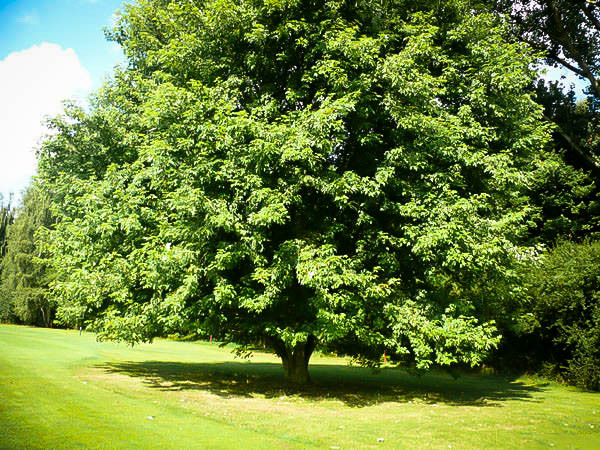 Fast-growing, tough and reliable in almost any soil, from wet to dry, and resistant to traffic dust and air pollution, the Silver Maple is the ‘go-to’ tree for the worse conditions. 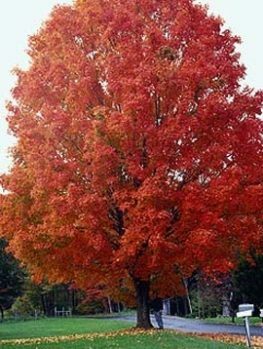 Of course it is also an attractive specimen in its own right, but as a Maple tree it is probably overtaken by its more showy relatives, the American Red Maple and the Sugar Maple. 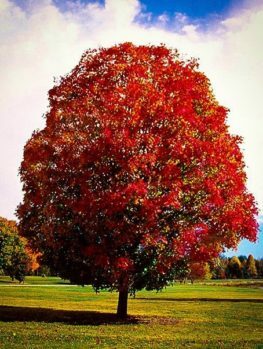 However both of those trees do best in areas and locations that are not densely urban, while the Silver Maple can handle the toughest conditions. This is a wide-spread native tree in the United States, growing throughout the East, except for Florida and the Deep South. In wild forests it is usually found in damp, poorly-drained locations, as well as along streams and river banks, and these are also locations where it is an ideal choice when a large tree is needed. However when planted as a specimen tree, it also thrives in remarkably hot and dry locations, thriving in Los Angeles, as well as reveling in the humidity and heat of the South at least as far as Orlando, Florida. 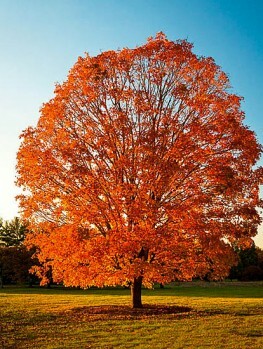 So if you have harsh areas to plant, look no further than the hardy Silver Maple. It is also a great choice for natural planting, as it provides food and shelter for a wide range of wildlife, from possums to woodpeckers. The Silver Maple (Acer saccharinum) sounds in its Latin name like the Sugar Maple, Acer saccharum, but the two trees should not be confused. The Silver Maple is easily recognized by the silvery underside of its leaves, which of course give it its common name, although it is also called White Maple, Soft Maple or Swamp Maple. On a windy day the silver undersides will flash in the light in a most attractive way. 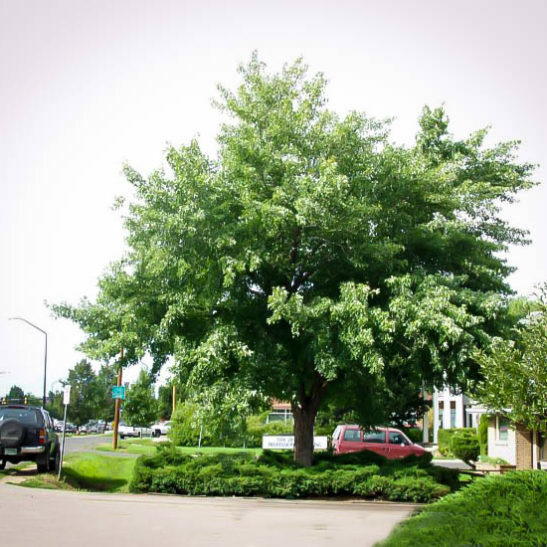 It grows rapidly into a large tree, adding up to 3 feet a year when young, so it will soon fill in and provide shade or screening for your property. 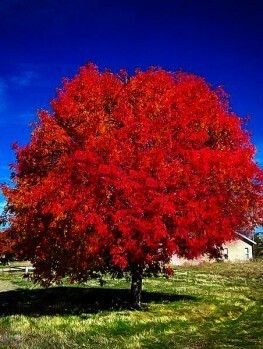 In time it can reach 50 to 80 feet in height, and can easily be 50 or 60 feet across, so do not plant this tree in a small space, or within 30 feet of a building. The leaves are up to 6 inches long, with 5 lobes. The angle between the lobes is much narrower than in the Sugar Maple, which is another way of telling them apart. It colors early in the fall, with leaves mostly of a soft yellow, with the addition of orange or red on parts of the foliage. The bark is smooth and light gray, turning shaggy and dark gray as the tree matures. It produces the attractive and characteristic maple ‘keys’, known to botanists as ‘samaras’, which spin from the tree in fall, to the delight of children. Plant your Silver Maple in a sunny location, although young trees can be planted in partial shade if sun is available higher up as the tree matures. It will grow in almost any soil, but this is an ideal choice if you have low-lying areas that are damp and may even flood in spring. For wet locations this is the top pick when a large tree is needed. Planted in a row 10 – 20 feet apart, it also makes a great privacy tree, marking the boundary of your property in an attractive and practical way. Since it also thrives in dry areas, you can plant the Silver Maple in a hot dry location and watch it thrive. Give your tree some extra water in summer for the first couple of years, but after that it is drought resistant. If necessary you can prune your Silver Maple to give clearance beneath for traffic, or to regulate its height, but this is also a low-maintenance tree that is not troubled by pests or diseases, and grows almost anywhere. 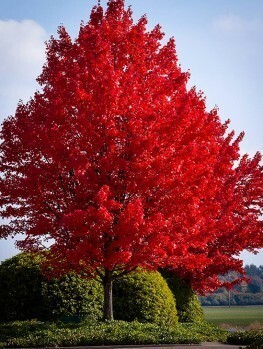 As you can imagine, such a useful tree is always in high demand, so if you want to grow the toughest maple around, order now and avoid disappointment.